With less than two weeks to go until the 2018 MLS All-Star fixture, PRO has announced the officiating crew for the league’s showpiece event at Mercedes-Benz Stadium in Atlanta, GA, which will take place on Wednesday, August 1. A team of select MLS players, including captain Carlos Vela and the league’s leading scorer Josef Martinez, of Atlanta United, will face off against Italian giants Juventus, who recently claimed their 34th Serie A title. Adding to what has been a successful season so far, Robert Sibiga has been assigned the role of center referee. With a total of 17, he has fulfilled more center official assignments than any other PRO official in the MLS this season. Sibiga was most recently involved as a center official in week 18’s meeting between LAFC and Philadelphia Union, and will be assisted by Jason White and Eric Weisbrod at the All-Star game. 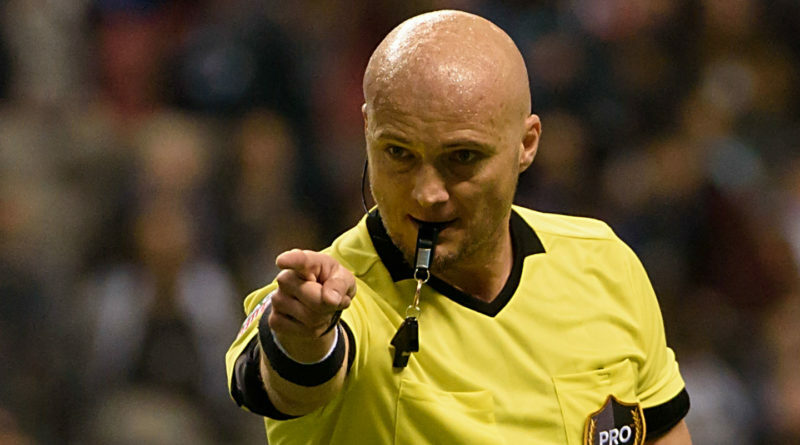 Both assistant referees made their MLS debuts in 2014 and have fulfilled 13 MLS assignments so far this year. White has experienced the occasion before, having been named among the 2017 MLS All-Star officials as reserve assistant referee. Completing the crew, Nima Saghafi will act as fourth official, Nick Uranga is the reserve official, while Alex Chilowicz will be in the video operations room as the VAR, becoming the first person to fulfil the role in an MLS All-Star fixture. “We would like to congratulate all of the crew on this assignment. It is recognition of their ongoing progress and we know that games of this magnitude can only enhance their development,” said PRO General Manager Howard Webb.